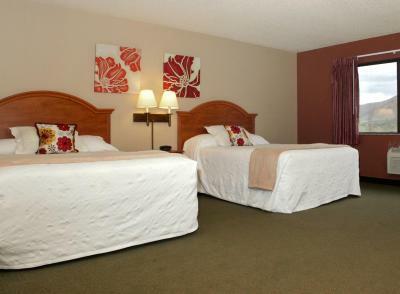 Lock in a great price for Hotel Glenwood Springs – rated 8.7 by recent guests! This place was ok except for, one night cold showers and the next morning cold showers. Ordered a pizza from there lobby pizza joint, did not have all the toppings where but they just opened they where even out of the beverages I liked. But stuff we come to do was fun.
. very comfortable and clean. 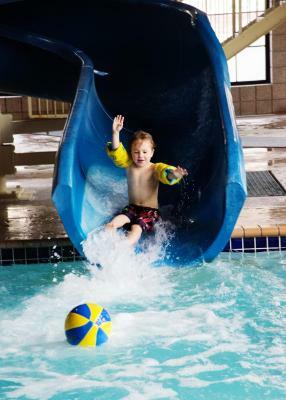 Friendly staff awesome pool perfect for my little one ..
Staff was very helpful. Booking.com for some reason cancelled my daughters room and they were very accommodating to get her another room. Friendly staff. 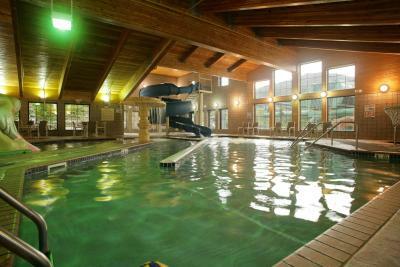 Hotel had a nice indoor pool area. Location is good. The property was clean and the pool was great. The room and the beds were very spacious. Staff was very helpful, kind and accommodating. Truly amazing! Every single person. Rooms were impeccable and service was amazing! Only place we will stay from now on. Close to everything. The hotel staff are the nicest people! 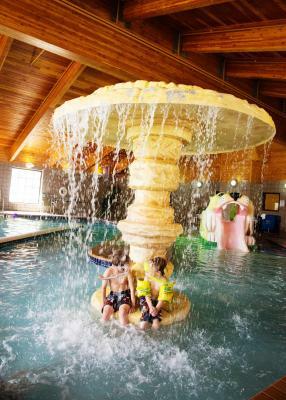 The hotel itself is great already, (great location, indoor water park for kids to let out their energy and have fun, relaxing hot tub, good continental breakfast, vending machines, game room, right next to the adventure park gondolas, etc.) 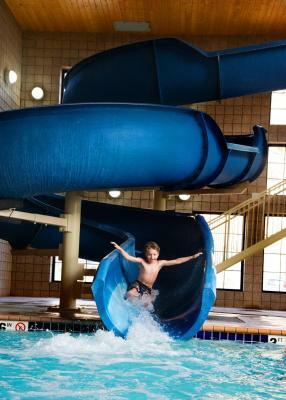 We try to visit this hotel every year and we never have a bad time! Hotel Glenwood Springs This rating is a reflection of how the property compares to the industry standard when it comes to price, facilities and services available. It's based on a self-evaluation by the property. Use this rating to help choose your stay! One of our best sellers in Glenwood Springs! 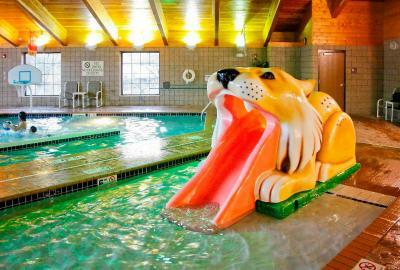 Offering a year round indoor pool with a waterslide, this hotel is adjacent to Glenwood Caverns Adventure Park. Free Wi-Fi access is available. A continental breakfast is served to all guests daily. 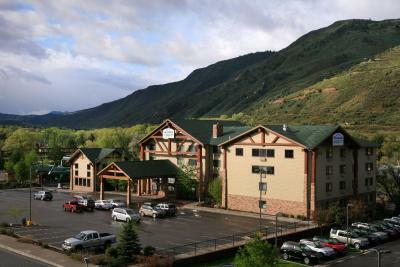 Each air-conditioned room features a work desk, a flat-screen cable TV and coffee-making facilities at Hotel Glenwood Springs. An private bathroom is also included. 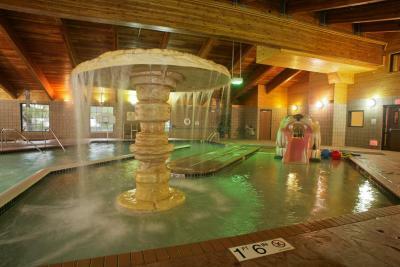 Spa of the Rockies is 15 minutes’ walk from the hotel. Sunlight Mountain Resort is 13 mi from the property. 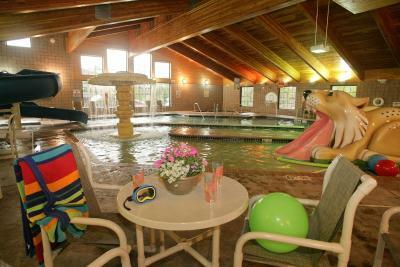 When would you like to stay at Hotel Glenwood Springs? 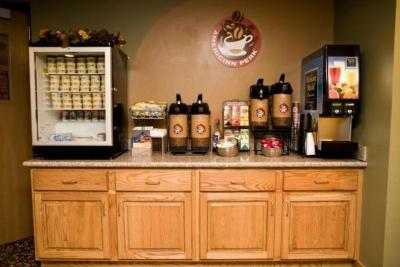 This air-conditioned room features a work desk, a flat-screen cable TV and coffee-making facilities. A private bathroom is also included. 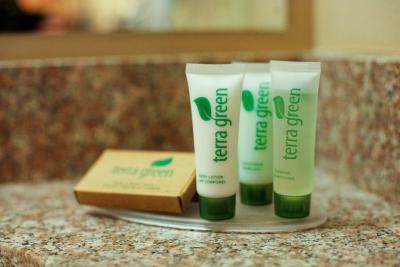 This air-conditioned room features a sitting area with a work desk, a flat-screen cable TV and coffee-making facilities. A private bathroom is also included. 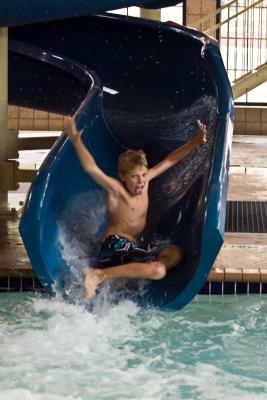 House Rules Hotel Glenwood Springs takes special requests – add in the next step! One child under 4 years is charged USD 5 per night in a crib. 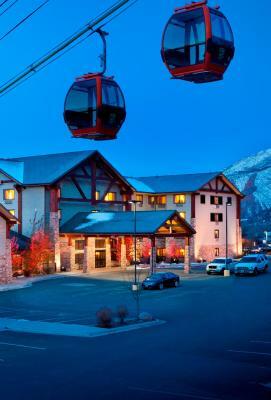 Hotel Glenwood Springs accepts these cards and reserves the right to temporarily hold an amount prior to arrival. Please note: The minimum age to check in to this property is 21 years old. Ran out of hot water in shower. Wasn’t pleased was charged As if I booked a king bedroom, and the staff wasn’t the greatest. The pool area was way over packed guest had alcohol in the pool area and kids weren’t being supervised. 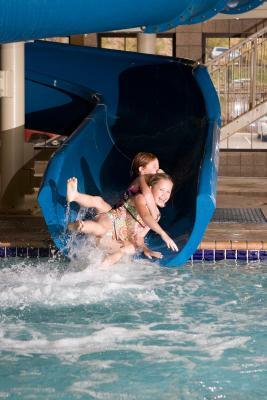 My daughter got kicked in the stomach well in the pool, very upset. Tv channels didn’t work well in my room .. breakfast is a yuck ... not good at all. Breakfast was extreamly dull. Expected more for the cost of the room. The massage/spa was ok. Could show improvement there as well. Was informed the hotel stay included admission to the hot spring but it did not. I didn’t like that the hotel didn’t give us a deal on a room for a night that we didn’t have reservations. We arrived a half night (12:30 am) earlier to avoid the weather and asked if they had any rooms available. They did but it was going to be $179.00. So we went somewhere else and paid $89.00.